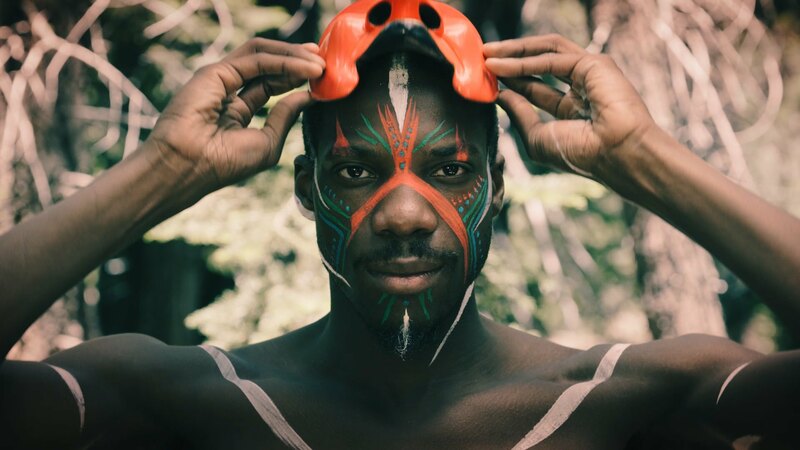 Did you know that you can heal through the power of image and movement? and open discussion devoted to healing the heart center. Interact with a variety of masks including clown noses, Squam Lake Masks and Angel Masks. Learn new movement vocabulary along the way. Learn to confront the negative images, break patterns, recover true joy, and manifest better futures. Focus on healing your “heart center” in the areas of love, self-confidence, true compassion, and inner strength. We will teach Meditations and exercises so that your practice can be continued post-workshop. 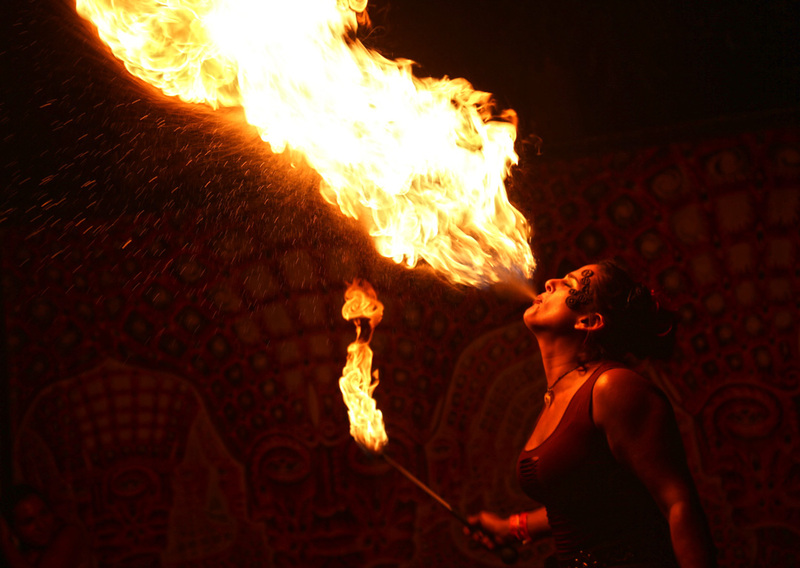 Enjoy dinner & entry into the Full Moon gathering all for one price. 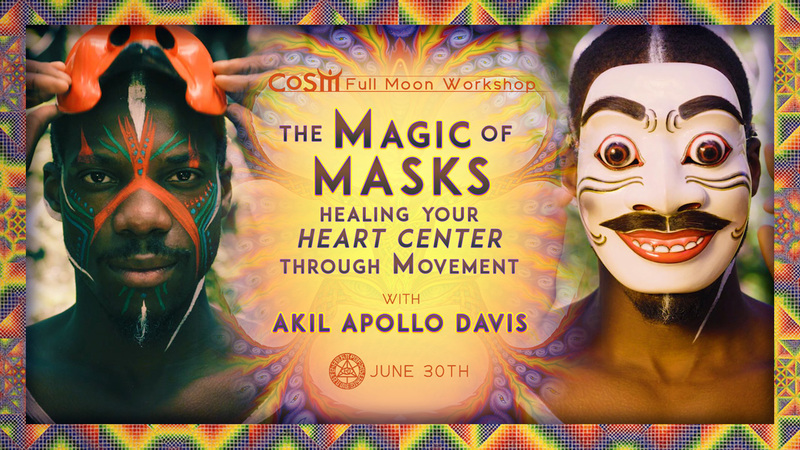 Akil is a Master Teacher of an extremely unique form of Mask Work that only 3 human beings in the world teach called the Per Brahe method of Mask. This Mask Work has its roots in the Balinese Mask making technique worlds away from the more popular Commedia Dell’Arte tradition and is also independent of traditional Balinese Dance. 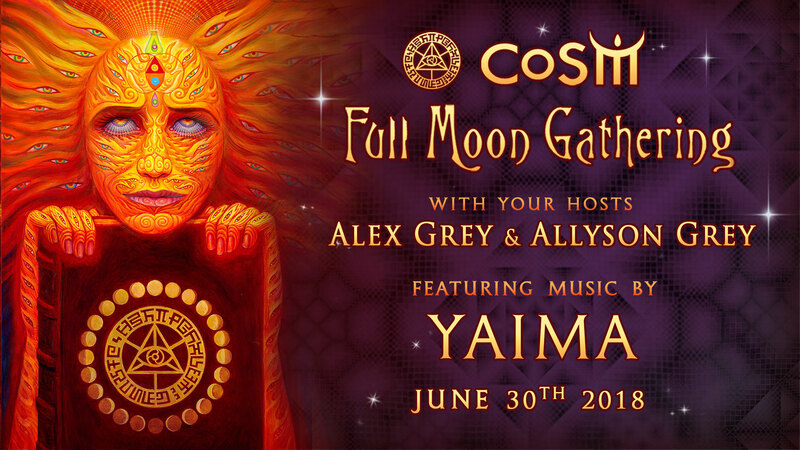 Join us for CoSM’s June Full Moon Gathering as we celebrate the alliance of creativity and spirit. Body Painting by Keiara Gallodoro. Henna by Natalia. Set creative intentions in the community sand mandala, facilitated by, Rosie & Dr. Mike. 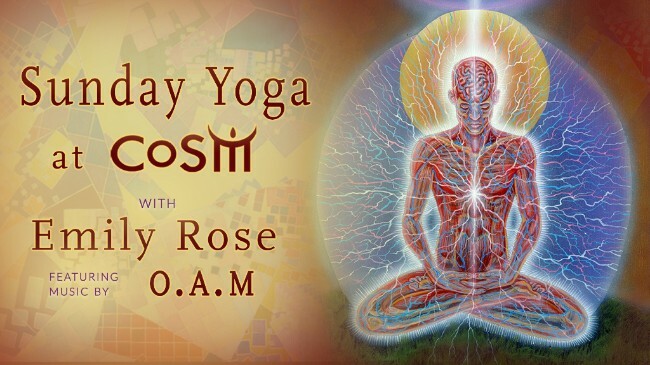 Morning Yoga with Emily Rose. Behind the veil of the visible world, a matrix of divine proportions and underlying grids plot the mathematics of biology, space and time. 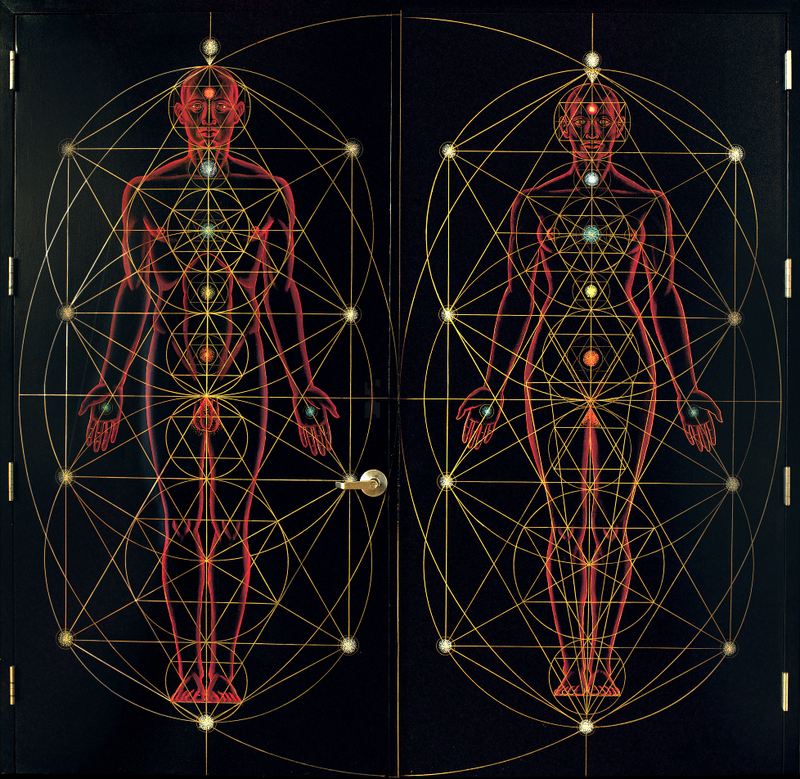 Sacred geometry ascribes symbolic and sacred meaning to shapes and proportions, positing that God is the Geometer of the World. 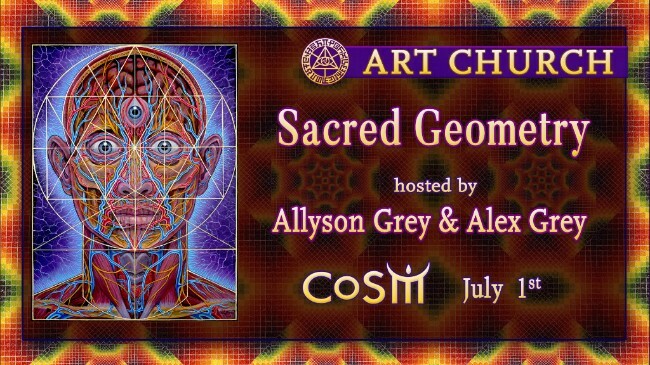 The design and construction of the architecture in cathedrals and temples, mosques and synagogues, altars and spiritual Visionary Art utilizessacred geometry in determining artistic choices. 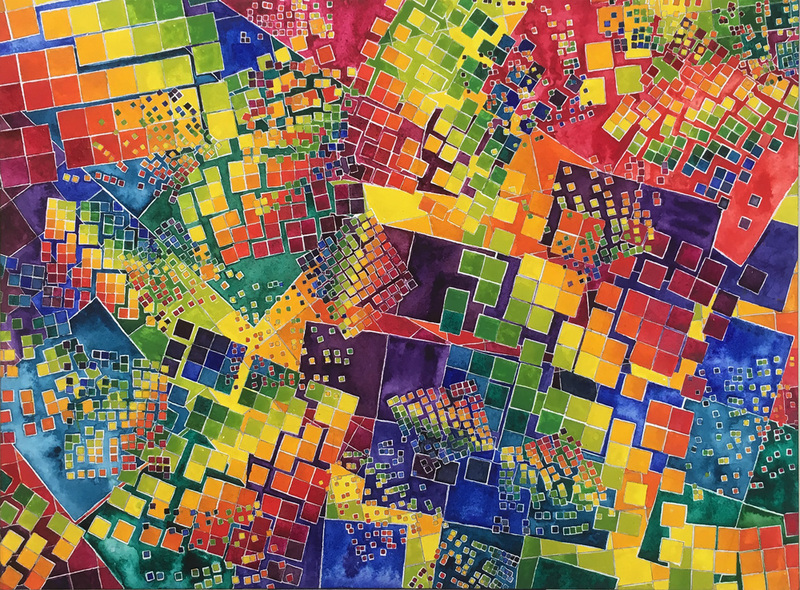 Art Church this Sunday will explore Sacred Geometry, exploring one to six-sided figures. 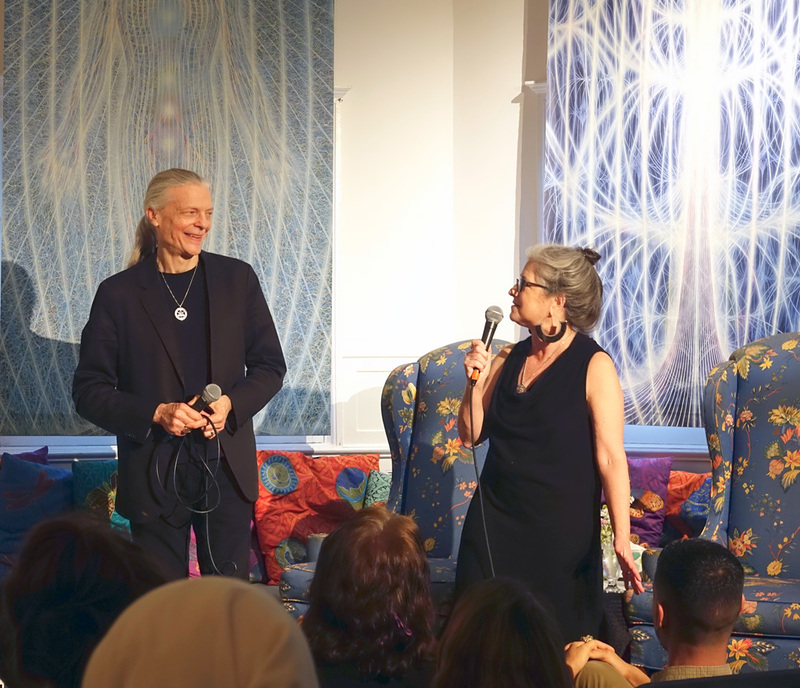 A talk demonstrating the principle of sacred geometry Woven into natural forms are all the geometric principles including how the Golden Section and Fibonacci Sequence is embedded in flowers, growing plants and the structure of all living creatures. With compass and straight-edge, we will delve into the meaning and craft of contemplative drawing. Bring supplies, if you can. -one 12” or 18” metal cork back ruler. Look forward to creating with you this special summer Full Moon Weekend!